In other news: China is cutting import tariffs on wood and paper products; US lumber is benefiting from the softwood tariffs; Ontario seeks to advance a pro-forestry agenda; Oregon bans a tree-killing herbicide; California getting some relief from the weather; and song birds prefer old growth forests in Oregon. Finally, the American Wood Council celebrates World Habitat Day, when we reflect on why our world needs wood. Trade agreements between nations – even nations run by thoughtful, experienced leaders – are inevitably born of compromises between competing political agendas. …Now imagine how much more difficult it is to cut a deal when one of the national leaders involved is unpredictable, temperamental and often uninformed. Seen in that light, the trade pact Canada has reached with the United States feels like something of an economic miracle. The accord has its flaws, and as Prime Minister Justin Trudeau cautioned on Monday, it also must still be ratified by all three countries. Still, after 19 months of brutal negotiations, an agreement in principle exists to keep supporting free exchange in a regional market worth $25 trillion and representing 470 million people. …On Monday, free-trade veteran Brian Mulroney… called the new agreement “a highly significant achievement” for Canada. It is. Bravo. The North American Free Trade Agreement is a nearly 25-year-old agreement that needs to be modernized. …Instead, President Trump has proposed replacing Nafta with something worse, a vague agreement that could hurt American workers and raise prices for American consumers while antagonizing America’s neighbors. …In the Trumpian worldview, Canada isn’t a friendly neighbor but a frosty enemy bent on ruining our steel, auto and dairy industries while cutting down forests in British Columbia and trucking the lumber across the border. Fiends! …Mr. Trump also wants Canada to join Mexico in agreeing to drop Chapter 19 of Nafta, a dispute resolution protocol. Canada has used it to fight off tariffs on its softwood and paper products. Mr. Trump’s softwood and paper tariffs are hurting Canadian industry, but also are raising lumber prices in the United States so much that the housing market has slowed. Isn’t that a great deal? Unrestricted trade. It’s written into the title of the North American Free Trade Agreement. But as details of the newly renegotiated deal (the United States-Mexico-Canada Agreement or USMCA) emerge, questions remain about what Canada’s signature guarantees in terms of protections, and what concessions were made. …Chapter 19, the section of NAFTA that allows companies to request arbitration if they feel their products have been unfairly hit with anti-dumping or countervailing duties…Canada claimed that win. …That particular red line for Canada has a history rooted in lumber exports. In the early 2000s, lumber exporters took their case to a NAFTA panel, and won. However, the U.S. didn’t want to comply with the ruling and Canada eventually negotiated a settlement that didn’t refund all the industry’s money. …”We need to keep the Chapter 19 dispute resolution because that ensures that the rules are actually followed,” Trudeau said at the beginning of September. A New Nafta Relief: The new deal is worse than the status quo, but disaster was avoided. Forest Products Association of Canada (FPAC) applauds the Canadian government and, in particular, the efforts Foreign Affairs Minister Chrystia Freeland, Ambassador David MacNaughton, and the Canadian negotiating team, on reaching an agreement with the United States and Mexico, to modernize the North American Free Trade Agreement (NAFTA), now called the United States-Mexico-Canada Agreement (USMCA). “The USMCA will ensure certainty and improved trade stability among all three countries,” says FPAC CEO Derek Nighbor. “FPAC is specifically pleased with the outcome of maintaining the existing Dispute Settlement Mechanism as this allows all industries in the 3 countries to challenge discriminatory trade actions.” FPAC believes that the conclusion of this 13-month negotiation is a great first step to improve Canada’s competitiveness in the world and looks forward to now working with the federal government on implementation of measures outlined in the recently tabled Economic Strategy Tables to address remaining competitiveness challenges. Vancouver, B.C. 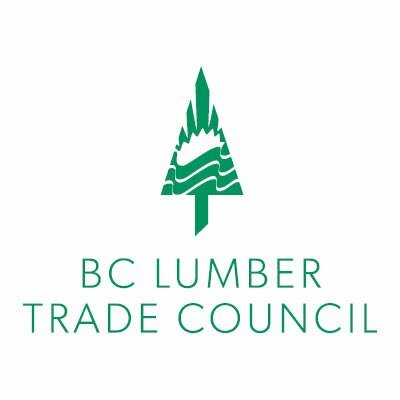 – The BC Lumber Trade Council issued a statement today with respect to Canada and the U.S. concluding the United States-Mexico-Canada Agreement [USMCA]. “BC lumber producers congratulate Minister Chrystia Freeland and the Government of Canada on reaching a renewed trade agreement that preserves the dispute resolution mechanism previously contained in Chapter 19 of NAFTA,” said Susan Yurkovich, President of the BC Lumber Trade Council. “Chapter 10 of the new agreement maintains, for Canada and the U.S only, a binational panel review mechanism for reviewing anti-dumping and countervailing duty determinations by either country,” added Yurkovich. “Having a robust and fair dispute resolution mechanism is absolutely critical to maintaining a rules-based trading system and providing an avenue for Canada and Canadian companies to appeal unwarranted duties.” While achieving a renewed trade agreement is a major step forward, the ongoing softwood lumber remains unresolved. Montreal – EACOM Timber Corporation congratulates and welcomes Quebec’s new majority CAQ government during a time of opportunities for the forest products sector and its communities. “A strong forestry sector not only supports Quebec’s economy but is also vital for its environment and people. EACOM is eager to collaborate with Premier Legault’s administration and all Members of the National Assembly to enhance this source of collective wealth,” said Kevin Edgson, EACOM President and CEO. During the campaign, EACOM initiated a discussion with its communities in Abitibi-Témiscamingue and Northern Quebec about the forest industry’s positive contributions to the province. Over 600 people came to celebrate the Val-d’Or sawmill’s 45th anniversary and learn more about the major contributions of the company, its employees, business partners and local stakeholders to the region’s economic and social development. 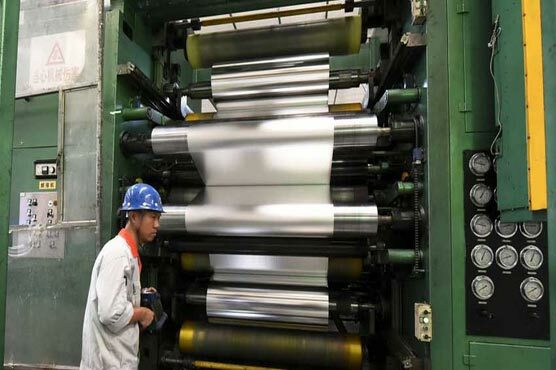 China will cut import tariffs on textile products and metals, including steel products, to 8.4 per cent from 11.5 per cent, effective Nov. 1, the finance ministry said on Sunday. Beijing has pledged to take steps to increase imports this year amid rising tension with some of its biggest trading partners, such as the United States. …Import tariffs on wood and paper products, minerals and gemstones will be cut to 5.4 per cent from 6.6 per cent, the ministry also said in its statement. Average import tariffs on more than 1,500 products will be lowered to 7.8 per cent from 10.5 per cent, the ministry said. …China’s cabinet has announced plans to cut tariffs on machinery, electrical equipment and textile products beginning on Nov. 1, as the country braces for an escalating trade war with the United States. Back in 2012, one of the major employers in Montrose, Colorado, a sawmill, was in receivership and on the brink of collapse. At the time, local media reported that the cost of logging timber had become prohibitively expensive. These days, logs are stacked high next to a humming mill. Production is up 20 percent from even just 2016. …After years of stagnation, the price of lumber is steadily climbing, according to the U.S. Bureau of Labor Statistics. The rural communities with softwood sawmills, located primarily in the northwestern U.S., are booming. …“There’s a number of factors, the market’s one. The consumer confidence has been restored,” he said. “The Canadian tariff is a big part of it.” That’s right: This turnaround is due in part to a little-known and long-running trade dispute between the U.S. and Canada — one that wasn’t started by President Donald Trump. The Western Red Cedar Lumber Association represents a significant portion of North America’s WRC manufacturers, distributors and retailers, and supports their members’ business through programs including advocacy, education, and advertising and marketing; of which social media has been playing an increasingly bigger role. …Following a downtrend in Real Cedar (the WRCLA’s brand) traffic and Google keyword rankings, the WRCLA’s agency, Bare Advertising and Communications, created a comprehensive audit of their audience for Real Cedar products; what they were looking for, and what would engage them. This became a priority project for the WRCLA as customer retention and revenue in the WRC business were being affected by growing competitive threats from composite materials, and, perhaps more significantly, new softwood lumber duties. The audit revealed that while a robust online presence was still key, potential WRC customers were spending less time on Google, and more time on social media platforms like Facebook, Instagram and YouTube to seek information. More than 30 years ago, the United Nations General Assembly established World Habitat Day, an important step in acknowledging that everyone deserves a safe place to live. However, housing availability in many cities is at a crisis level, where families have to choose between daily essentials and keeping roofs over their heads. Half of U.S. renters are living paycheck to paycheck because they’re spending more than 30 percent of their incomes on housing, according to the 2017 America’s Rental Housing Report — and that’s not just an issue felt in the U.S. but also across North America, Europe and Asia. …Wood buildings are designed to meet the same rigorous standards that all building materials must meet, as requirements of our nation’s building codes. …Bottom line, our world relies on wood. Without it, we could be facing far worse housing and environmental crises. COLVILLE, Wash. — Russ Vaagen, whose family has a 66-year-long history in Washington state’s timber industry, sees a future in mass timber. The former president of family-owned Vaagen Brothers Lumber has founded a new company, Vaagen Timbers, which will produce mass timber products. 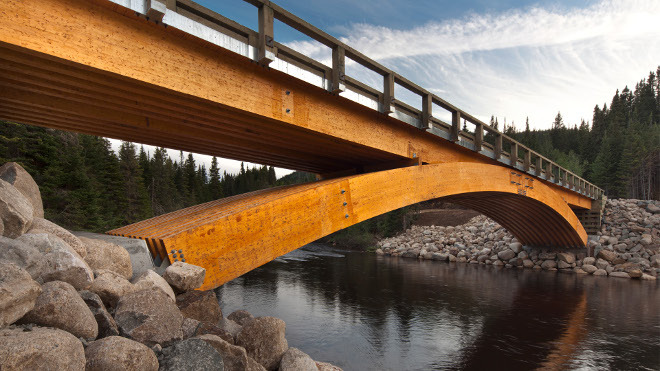 Mass timber, also called engineered wood, includes cross laminated timber, glulam beams and other products that are less expensive, lighter and lower-cost than other building materials such as steel and concrete. Cross-laminated timber is made by gluing planks of wood in perpendicular layers, creating thick panels that can be used for walls and floors. He sees the use of wood in homes, apartments and buildings as a way to remind urban and suburban consumers about the importance of the rural timber industry. Architects Stefano Boeri’s call to action on urban forestry asks planners all over the world to consider greening our cities as the core element of all projects. In view of the first World Forum on Urban Forests that will be held in Mantova this year, Stefano Boeri launched an international call to encourage urban forestry. His Milan-based architecture studio is making a big impact on the status quo of building by encouraging the systematic presence of plants in the urban environment. After showing a strong commitment towards sustainable architecture through projects such as the Vertical Forest in Milan, a skyscraper covered in plants that has become a model for ecological residential building, Boeri now wants to engage all planners, architects and designers to integrate green spaces in their projects. Over the past few years, timber has become a more widely used material in tall buildings–and from Canada to Japan, architects are pushing the material further and further into the sky. Mjøstårnet, an 18-story project being built in Brumunddal, about 90 minutes north of Oslo, is the latest all-wood high-rise to compete for the record of world’s tallest. In a five-part micro-documentary produced by Moelven, the Scandinavian construction company behind the project, we get a glimpse at the building project. At 265 feet tall, the structure is a fascinating piece of engineering for its anti-fire features alone. Up until 1997, Norway had legally prohibited large timber buildings over three stories after a terrible fire consumed the city of Ålesund in the early 1900s. Yet the construction company claims its building is one of the safest in Norway, thanks to the use of glulam–or glued laminated timber. Concern continues in Kananaskis Country over a planned clearcut logging operation in the Mustang Hills area. 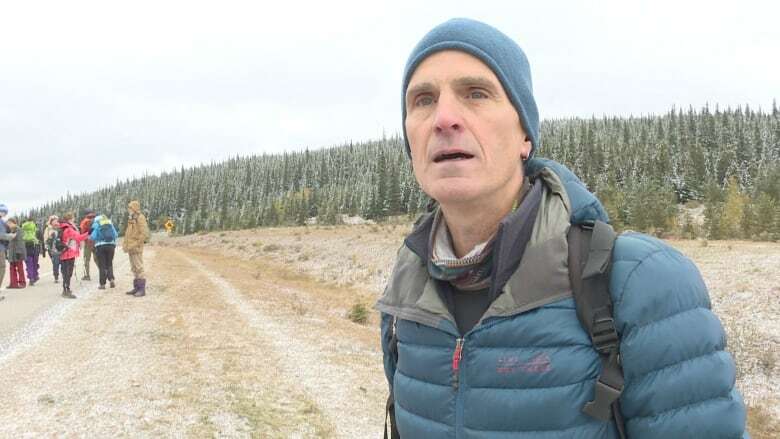 Advocacy group Stand For The Upper Elbow decided to mark the recent 40th anniversary of K-Country with a guided hike through the area set to be cut down on Sunday. Dave Klepacki is a member of the group and helped lead the tour. He wants both urban and rural Albertans pay attention to the potential clear cut zone. “I just think that this is important to the people of Calgary. Not only just for the integrity of the drinking water but just for recreational purposes,” he said. “There are a series of hiking trails that cut through the woods behind me and they would be gone.” Legal proceedings were launched in February against the province and Spray Lake Sawmills to try and stop the Mustang Hills clearcut. Kenora Mayor Dave Canfield is greatly encouraged that there’s an attentive ear on forestry industry issues at Queen’s Park. The Ford government’s plan to reach out to industry stakeholders and mill towns this fall to solicit their feedback in laying the groundwork of a growth-oriented provincial forestry strategy was called “fantastic” by the long-time northwestern Ontario politician. Canfield will be a few months into his post-mayoral retirement by the time the roundtable reaches his hometown in early February, but the ardent supporter of the forest sector plans to be in attendance. …Canfield countered that by working with FP Innovations, the federal forestry research arm, to deliver presentations across the North demonstrating that responsible harvesting is good for the boreal forest and actually fights climate change. The answer, he said, is not setting aside more land for protection but building that protection into forest management plans. 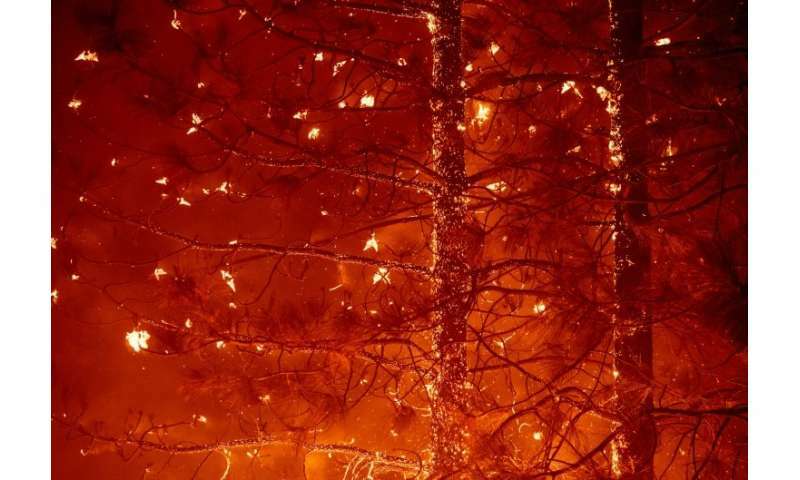 Severe drought, insect infestation and poor forest management have combined in recent years to kill millions of trees in the American West—130 million in California alone—and provide fuel for huge wildfires. The crisis is all the more alarming as hundreds of millions of hectares of land were scorched this summer out west in several states, causing a dozen or so deaths. Last Thursday, for instance, the government agency in charge of overseeing firefighting in forests said no fewer than 71 wildfires were burning. And things could get worse. Early this year experts warned of the risk of a new, potentially much more dangerous kind of forest fire. They blame the rampant mortality of trees, mainly conifers, which has ravaged forests as a result of drought and beetle infestation. A welcome dose of rain beginning early Monday morning has dampened the rising danger of wildfires after weeks of warm, dry conditions. However, the National Weather Service predicted 3 to 4 inches of rain in Payson by the time the storm leaves the area late Wednesday. The NWS also issued a flash flood watch all day Tuesday. 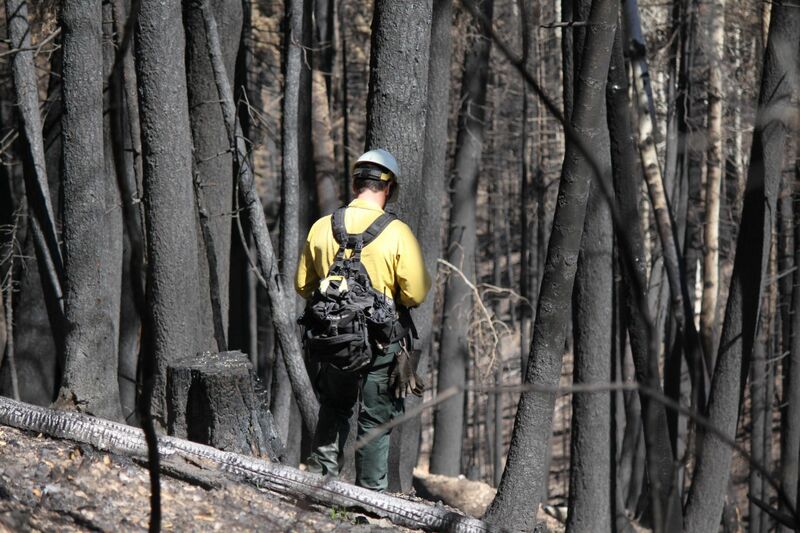 The flush of moisture from the remnants of a tropical storm that came ashore in Mexico could also extend the window for the Forest Service to burn off slash piles and undertake prescribed fires, an increasingly vital tool in the era of crown fires and climate change. The National Weather Service predicts warm, dry conditions will return by week’s end, but should give way to a better-than-normal winter. The herbicide is called aminocyclopyrachlor. …it was once a common weed killer used by the Oregon Department of Transportation and other public entities. Then, last week, Oregon became the first state in the U.S. to temporarily ban it from rights of way. The Oregon Department of Agriculture is investigating potentially widespread tree damage because of the chemical. …ODA has prohibited the use of products with aminocyclopyrachlor until April, and lasting regulation could be established. …Plans for this in-depth investigation come more than three years since a massive tree die off in Deschutes National Forest was first linked to ODOT spraying. Nearly 1,500 Ponderosa pines near Sisters are standing dead or dying. Some are hundreds of years old. The Forest Service plans to log those trees, rather than risk a dead tree falling on Highway 20. BLUE RIVER, Ore. — Hotter, drier summers are having an impact on some of the migrating songbirds that come to Oregon and Washington to breed each spring. Oregon Public Broadcasting reported that because of rising temperatures, the areas where hermit warblers can live and find food are shrinking by as much as 4 percent each year. Now researchers with Oregon State University are developing an experiment to track the tiny songbirds through the Pacific Northwest. OSU researchers have already found that warbler populations declined in areas with young forests but in some cases increased in old growth forests despite the warming climate. Researchers Hankyu Kim and Adam Hadley are conducting a new experiment to determine why the warblers are doing better in old growth areas. Sacramento – The California Department of Forestry and Fire Protection (CAL FIRE) announced the availability of up to $155 million for Fire Prevention and Forest Health projects. CAL FIRE is soliciting applications for projects that will help prevent catastrophic wildfires and restore forest health while also sequestering carbon and reducing greenhouse gas emissions. CAL FIRE’s Fire Prevention Grants Program will provide funding for local projects that address the risk of wildfire and reduce wildfire potential to communities in, and adjacent to, forested areas. Qualified activities include hazardous fuel reduction, fire planning and fire prevention education with an emphasis on improving public health and safety. SAN JOSE – Costa Rica has long monitored its forests and the carbon they hold but it hopes to soon have a cheaper and more effective way to do it: by drone. Deep Forest, a project backed by environmental group Fundecor, semi-conductor manufacturer Intel and San Jose-based Aerial Robotixs, aims to give scientists a better idea of what is happening in the country’s forest canopy, and allow more frequent monitoring. …“Here the advantage is the precision in a scheme that is cost-effective,” Carazo said at a Congress of Sustainability, Ecology and Evolution in San Jose. The project will use a drone to fly over remote areas of forest, using a built-in laser to “scan” the forest.